Sorry to break some bad news to all of our Mormon friends. Thomas S. Monson served almost a decade as the leader of the Mormon Church and his tenure was incredibly successful. Under his time as an apostle, the Mormon church grew from 2.1 million members to 15.9 million and the number of temples increased from 12 to 157. You can see Thomas S. Monson’s final talk here. The office of President falls to the longest-serving member of the Mormon church’s Quorum of the Twelve Apostles, which means that Russell M. Nelson is next in line. 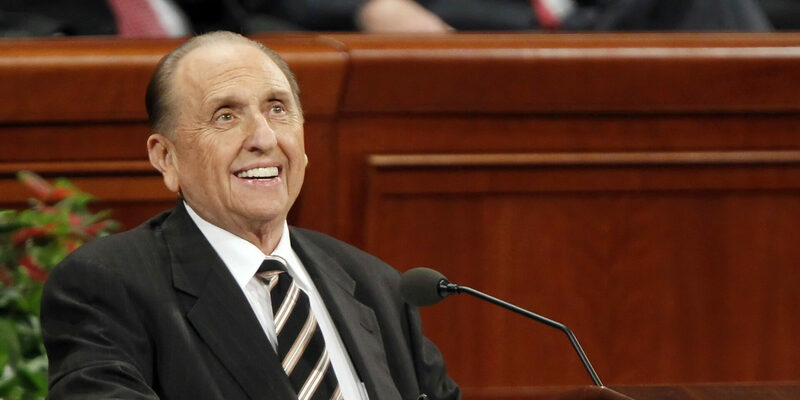 Update: Thomas S. Monson’s death is trending on Twitter.